Updating your exterior walls to stone veneers is a smart decision. The walls will look great and last for years with minimal maintenance. Moreover, these veneers are easy to install, which can reduce the time and cost of your renovation project considerably. A wide selection of colours, shapes and textures also gives you total creative freedom. That is why architects, builders and property owners across Ontario are now using stone veneer for their interior and exterior décor. 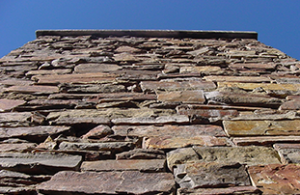 There are three types of stone veneer. Understanding the differences will help you pick the right one for your design and maintenance requirements. 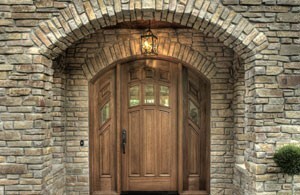 Manufactured stone veneer is lighter and easier to work with than natural stone. Natural stone has a variety of colour variations which can give your walls a unique look. Faux stone is lightweight and speeds up installation considerably. It is also weather-resistant and low maintenance. Order a sample of each so that you have an idea of how the different varieties look and feel. Selecting a design for your exterior walls can be a challenge as stone veneer offers endless possibilities. We recommend that you narrow down your choices to three styles/designs and bring them in to the Platinum Stone Veneer store. Our experts will explain the pros and cons of each, and help you pick the best one. What is the process of replacing the old wall with new stone veneers? Check your local building codes to determine if you need a professional installer. It is also a good idea to familiarize yourself with the installation process so that you know what to expect. A certain amount of preparation will be required. What exactly needs to be done depends on the type and condition of the surface. Most types will require the installation of a water barrier and metal lath prior to applying the stone veneer. Should you decide to use a sealant, consult the manufacturer recommendations to protect your investment from damage. Platinum Stone Veneer offers skilled installers who can update your exterior walls with any design that you choose. Having worked on a wide variety of projects, we are comfortable working with all types of surfaces. Premium products and workmanship guarantee stunning results and your total satisfaction. To learn more about how to update your exterior walls,call Platinum Stone Veneer (416) 731-8600 or request an estimate online.